1. SIT UP [JACKKNIFE] : This sit up help you in shaping intercostals,external obliques and pectineus.To perform this ,you need to sit on the floor while holding a medicine ball,your feet out in front of you,then bend your knees slightly and lift your feet slightly up from the ground.Your ankles should be together and lean back so that your torso is at 45 degrees from the floor.Hold the medicine ball out straight from your chest,arms only slightly bent.Twist your torso over to one side and try to bring the medicine ball towards the floor.Pause for a moment and repeat the same in the opposite side. 2. PULL IN EXERCISE BALL : It helps to develops your lower rectus abdominis.To perform it take a position where your feet is resting on the ball and your hands are down on the floor in a push up position.Now try tucking your knees towards your chest.The ball will roll in the same direction along with your feet.Pause for a second once your knees are close to the chest,release and get back to the starting position. 3. SEATED LEG TUCKS : It helps in developing upper and lower rectus abdominis.To perform it you need to sit on a bench crosswise.Raise your legs,bend knees and lean backward at 45 degree.Hold on to the side for support.Use a scissor movement and curl upper body towards pelvis while rounding your back.Raise knees towards your head and make body look like a v shape.It will make upper and lower abdominals crunch together. 4. AB CRUNCH MACHINE : It is quite an essential one for your six pack abs.Use the machine regularly in the gym and perform your reps nicely and slowly.Make sure that your abdominals feel a burn as they work in the movement. 5. CABLE CRUNCHES : This helps in developing upper and lower rectus abdominis.For performing it you need to attach a rope to an overhead pulley.Grab each end of the rope and kneel down while holding the rope in front of your forehead.Bend and curl your torso downward in a way that your back rounds.Move towards your knees where you should feel the stretch on your abdominal muscles which crunch together.To increase the effectiveness of the exercise,squeeze your ab muscles at the end of the movement for 3 seconds and release.SLOWLY RETURN TO THE STARTING POSITION. 6. HANGING KNEE RAISE : This exercise will help in shaping and developing the lower rectus abdominis.To perform it hang up straight from a pull-up bar or any bar which is strong enough to hold your weight.Keep your feet together and raise your knees towards your chest.Raise them as high as you can.Pause for a few seconds while you squeeze your feet back down and repeat the movement. If you are suffering from a slipped disc and experiencing pain,working with your physician or physical therapist to develop an exercise plan can be an important part of treatment.The aim of slipped disc exercise is to relieve pressure on the spine by strengthening supporting muscles.Another aim is weight loss,which take additional pressure off the spine. Ther e are other benefits of slipped disc exercises such as these improve cardiovascular function and better mental health.Starting an exercise plan may not instantly relieve symptoms,it consistently as part of a comprehensive treatment plan has brought relief to many patients. 2. LIFESTYLE AND OTHER TREATMENTS : In slipped disc exercises,physicians may encourage you to modify certain activities that are counterproductive to the healing process.Improper posture and body mechanics can place added strain on a slipped disc,that is why it may be necessary to modify your sleeping position,office sitting or lifting techniques.The activities like strain the back,repetitive lifting,pulling or pushing are the subject to be avoided.Therapists or physicians and patients will explore surgery to treat a slipped disc when a full course of conservative treatments,including an exercise plan has been attempted without bringing relief.Traditional open back surgery is typically seen as a last resort option because these procedures require a large incision. 3. Surgeons of Laser Spine Institutes perform minimally invasive procedures using state of the art technology to treat a slipped disc in an outpatient setting.They use a small muscle sparing incision that leads to a shorter recovery time for their patients.To find out how they may be able to help you find listing relief from neck or back pain and learn if you are a victim for their procedures. 4.Light aerobics like walking,biking and swimming can help control weight whether improving cardiovascular health which potentially relieving slipped disc symptoms. 5. 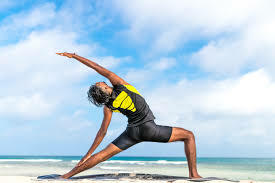 Strengthening and stretching exercises,such as pilates yoga can improve posture and strengthen core muscles which takes pressure off the spine. 1. DRINK GREEN TEA BEFORE TO WALKING : Green tea is a boosted metabolism ,which can be a sure win-win burning extra kilos.A perfect blend of caffeine and catechins together catalyze the fat burning process,the former is known to induce fat burn by promoting thermogenesis and the later enhances fat oxidation. 2. TRY 15000 STEPS PER DAY RACK UP : Studies suggested that to keep a track of the number of steps you walk each day.15000 steps each day might sound arduous at first but once you start on it will be very much doable.Intensifying your walk will not even lead to sore muscles. 3. WALK 20 MINUTES THRICE A DAY EACH : As like eating meals in a day,it is suggested to have three 20 minutes walk instead of a long stretch walk.In fact walking 15-20 minutes after every meal helps in controlling blood sugar levels better than taking a long 45 minutes walk once in day.So make the most of your time and walk in intervals rather than in one go. 4. WALK ON UPHILL : When you walk on an elevated path you might noticed that you get more exhausted and your heart beat increases very fast,because while walking uphill you build more muscles that help in increasing metabolic rate.You are suggested to lean forward a bit and slow your pace while walking uphill so as avoid unnecessary strain on your muscles.Start slow and steady and increase the frequency of these uphill walks to exploit it the most. 5. TAKE A ONE MINUTE INTERVAL BREAK : Everybody dislike monotony and so does our bodies.Maintaining a steady rate while walking should be ruled out and walking at varied speed should be incorporated in your walking routine.This change in practice can enhance calorie burn by 20% also try and include 1 minute interval in your walking routine which will help you to burn more calories. 6. AVOID SUGARY DRINKS : Sugary drinks like Gatorade should be avoided,because these drinks actually provide you way more than the amount of calories burnt during a low intensity workout. 7. DRINK MORE WATER : Studies shows that drinking more water around 1.5 liters per day can burn 1450 calories [approx] a day.It also helps to lose weight. 8. SMARTLY WALK : Small walks when possible is helpful in getting in shape,park your car if possible a bit far away from your door,use staircases,ditching escalators,opting to walk instead of taking your car whenever possible can make you get that desired waistline you want of. BESIDES ALL ABOVE MENTIONED YOU MAY INCLUDE BODYWEIGHT EXERCISES AND A DYNAMIC PLAYLIST. Overweight or obese puts a higher risk of heart disease,stroke,high blood pressure,diabetes,cancer,gallbladder,gallstones and breathing problems.Moreover the risk is even higher in people with a family history of one of those conditions.A healthy body weight sets the stage for your heart,bones,brain,muscles and other organs in the body to play their part smoothly and efficiently for many years.Overweight,especially obesity drains almost every aspect of health from reproductive and respiratory system to memory and mood. 1. SLEEP WELL : Sleep needs very across by ages,as for example,a healthy adult needs 7-9 hours of sleep per night and children,teens need even more to function their best. 2. HEALTHY DIET : It helps to loss weight around 80%. The logic is that the balance between calories in and out will decide the final outcome.If you are watching what you eat you will probably burn more calories but it does not mean you should only focus on the calorie count.It is about paying attention to the quality of foods you eat.It includes eating lots of fruits and vegetables while refraining from processed foods that are high in sugar,salt,and unhealthy fat.Most fruits,vegetables are low in calories but these are high in filing fiber and other nutrients which help in weight and fat loss thereby improve overall health. 3. REGULAR EXERCISE : Everybody must do exercise not to burn calories for weight loss but to lower the risk of various disease and to maintain health problems.It is an incredible benefits for your mental health which helps to manage stress and can have a profoundly positive impact on depression and anxiety.Doing aerobic or cardio exercises regularly can help you burn calories and body fat.You also may try walking,running,swimming and cycling in your fitness goals,while all physical activity helps you burn calories.Resistance training like weight lifting can go far beyond that it tones muscle and helps to prevent your metabolism from slowing down when you lose body fat. IT IS COMMONLY KNOWN THAT IT IS POSSIBLE TO LOSS WEIGHT 80% BY DIET AND 20% BY EXERCISE. The exercise offers an incredible health benefits but sometimes your busy schedule prevents you from doing exercise and hitting gym everyday. However,there are some easy ways to lose weight without hitting gym or regular exercise.Following are the most effective tips to loss weight. 1. MAKE YOUR DAYS HARD : Always use the staircase not elevator.Avoid using closest restroom,parking space or vending machine.If you take the longest route or opt for the stairs,you will start to notice a difference.The calorie burn may seem insignificant but it all adds up at the end of the day. 2. CUT THE LIQUID CALORIES : Juice,beer and soda are these types of liquid which are generally packed with sugar and will immediately turn to fat once you digest.Stick to clear,clean liquids,water still or sparkling and do the same when you opt for liquor.The coffee is better for your weight loss. 3. AVOID THE FAD DIETS : Fad diets are fast ones,which rarely result in long term progress.Generally,fad dieters lose a lot of water weight,quickly only to gain the pounds back when the resume eating solid foods.It leads to weight cycling or yo-yo-ing,which may be the health problems. 4. TRACK WHAT YOU EAT : Tracking the foods that you eat can make a difference when attempting to lose weight.Keeping meticulous records will keep you on track,motivated and help you recognize what helps you lose the weights and what does not.You do not need to track pounds or calories keeping those numbers can lead to obsessive behavior,but tracking what you eat and how it makes you feel can give you insight in to your diet and ultimate results. 5. DRINK MORE WATER : Drinking water helps you cut back on binge-snacking.It is zero calories which is very good for weight loss.You may add a pinch of sea salt or unrefined,unbleached salt to your water before you drink.The electrolytes in the salt will push water in to the cells where they need to be,rather than letting the water get flushed out,causing you to go to the bathroom every other minute. 6. TAKE BETTER RAW INGREDIENTS : You should not go totally Paleo but taking a page from the raw ingredient cookbook is not a terrible idea.Cut out preservatives as you can,the smaller the ingredient list,the healthier item such as banana or broccoli,not sugar butter.You do not want to go label crazy and try to remember everything in moderation,the more you cut yourself off from sugar,you will get optimum results. 7. SLEEP WELL : If you want to lose weight you should have a regular sleep schedule.Those who sleep between 6.5 and 8.5 hours a night have lower body fat than those who sleep below or above those numbers. DIABETES can cause kidney failure,heart disease,blindness and various other health problems.A number of people are suffering from diabetes.Obviously,millions of people are affected by the chronic disease.While people developed diabetes it is because of poor lifestyle,some get it genetically or inherit it from the family.If it is not controlled it can cause a number of disease and health problem.Before somebody develops it,there is a time when blood sugar levels are not high enough to be categorized as diabetes.This is the phase where you can take certain measures in order to prevent developing diabetes. [A] CUT BACK ON SUGAR AND REFINED CARBS : To prevent diabetes you have to minimize consumption of sugar and refined carbs,because your body quickly breaks down it in to small sugar molecules.These absorbed in your blood stream and increase your blood sugar levels.This stimulates pancreas to produce insulin.Insulin helps in getting sugar out of the blood stream in to the body's cells.The prediabetes have body cells which become resistant to insulin's action.Thus the sugar remains in blood.This can lead to type 2 diabetes over time. 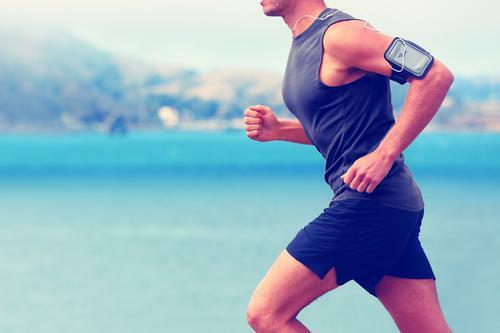 [B] REGULAR EXERCISE : Physical activity effectively reduce the risk of diabetes,because it increases insulin sensitivity of your cells.Your body requires lesser insulin to keep your blood sugar levels under control if you workout regularly. [C] WEIGHT LOSS : Overweight is a major problem for developing diabetes.People with prediabetes are more likely to have abdominal fat or visceral fat.Excess of visceral fat can cause inflammation and insulin resistance,thereby increasing risk of diabetes.Reducing weight can help in the risk of diabetes.Regular exercise and a diet rich in proteins and fiber with less carbs can help you to lose weight. [D] USED TO DRINK LOTS OF WATER : Drinking lots of water can help you to prevent diabetes.Lots of water helps avoid sugary drinks and drinks with preservatives.Further drinking water can help in improved control of blood sugar and insulin response.Sugary drink like soda or soft drinks can increase the risk of diabetes. [E] MINIMIZE THE PORTION SIZE : To prevent diabetes you must careful of portion size and make sure that you do not consume food in large quantities.It is specially important for overweight and obese people.It can cause a spike in your blood sugar and insulin levels and increase the risk of diabetes.Practicing small portion can help in lowering blood sugar and insulin levels. [F] ALWAYS STAY ACTIVE : It is important to stay active throughout the day and avoid sedentary behaviours,apart from regular exercising,eating right and drinking a lots of water.Whenever possible try to walk,use stairs,avoid elevators,as these will help in preventing the risk of diabetes. [G] AVOID SMOKING : The major health problems like cancer and diabetes caused by smoking.So it should avoided at any cost for prevent these diseases. [H] PROCESSED FOODS : These are high amounts of preservatives and sodium.These can contribute to increasing your blood pressure and can even cause heart disease,obesity and diabetes.These are also high in saturated fats which are very harmful for the body.Consumption of processed foods should be avoided in order to prevent the risk of diabetes and as well as other health conditions. 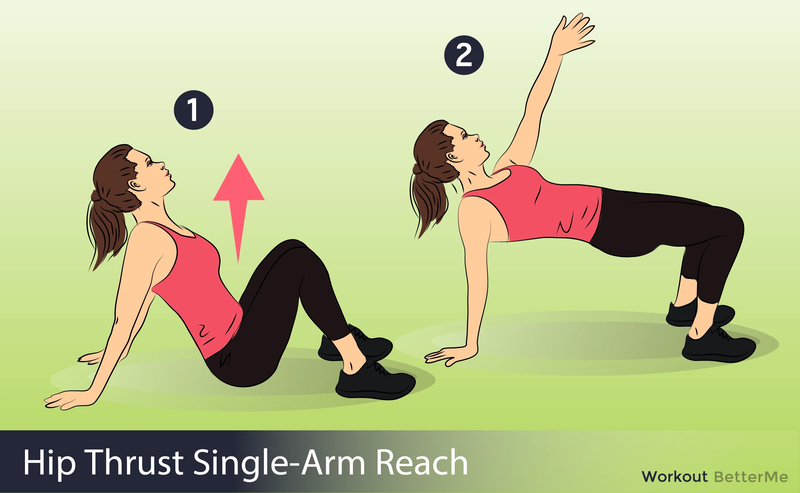 5 MOST EFFECTIVE FAT BURNING EXERCISES THAT YOU CAN DO WITHIN 20 MINUTES ANYWHERE AND ANYTIME. 1. AIR SQUATS : These are the most effective movement which can be performed by the human body and end up becoming the base for almost every other movement.To perform it start by placing your feet in the line with your shoulders and start pushing your hips back and down at the same time,lower down keeping your back straight and feet flat until the hips reach lower than the knee.Get back up to full extension of your hip and knee.Squats are lower body movement,strengthens your glutes,hamstrings and quad muscles while engaging your core at the same time.15 repetitions of air squats repeated 4-5 times will get you an effective work for these big muscles. 2. SIDE PLANK LEG RAISE : To perform it start this movement by going down sideways on the ground,weight on the elbows and raising the hips up so that you make a single line between head to toe.Lift one leg off the ground as much as you can to make it more challenging.The movement ensures strong core muscles,help in cutting down stubborn belly fat and builds stability in the arms and legs.Holding this for 30seconds on each side in between over exercises and repeat for 4-5 rounds till you feel the burn in your mid section. 3. CRAB REACH : Start this movement by keeping your feet flat on the ground and hands close to the hips.Raise your hips up as much as you can,getting the right hand close to the face and looking down to the left hand.Keep alternating between right and left.This movement will make sure you build strong glutes and hamstrings,which happens to be the most powerful set of muscles in the human body.Strong posterior chain ensures better performances at more complex movements and better balance.It also helps to build strong arms and ensures more stability as you shift the entire weight on one hand.10 reps each side repeated for 4-5 rounds will give you a good workout. 4. COSSACK SQUAT :Start this movement by placing your feet wider than your shoulders bending to one side,extending the other leg straight and toe facing up.Make sure that the foot of the leg which is bent remains neutral and chest upright.Alternate between left and right to finish the movement.It is a full body movement which improves mobility of hips,strength in lower body,spine alignment and a strong core.5 reps each side repeated 4-5 times for an effective workout. SIDE KICK THROUGH : To perform this movement start it by getting on all fours arms in the line with the hips and knees just a little off the ground,lift your right leg off and kick out towards the left lifting the left hand up close to the face at the same time.Make sure you open up your anterior obliques and keep your foot flat on the ground.Alternate between right and left.This movement improve stamina and you should do 10 kicks each side repeated over 4-5 rounds for a good workout. THE BEST TIME FOR EXERCISE DEPENDS ON ONE'S ONLY BUSY SCHEDULE,BUT CONSIDER THE PROS AND CONS TO MORNING,AFTERNOON AND EVENING WORKOUTS BEFORE DETERMINING THE BEST TIME FOR YOU. Wake up early to exercise can give some people a day long energy boost but other may find it an unsustainable routine.Most of you don't have the time to do cardio for 30 minutes a week,lift weights twice a week and incorporate flexibility training,balance work,mind body exercises and other types of physical activity in to your routines. It is most important factor to remember that the key to getting on the right track to better health and fitness is to simply perform more physical activity than you do now.Very few people have the time to be physically active. Very often a question arise for the newcomers that what is the best time for exercise?The simple answer is that the best time for exercise is whenever you are most likely to sticto your routine.It is important to fix the time of day when you can most often get your workouts in,because the benefits derived from physical activity are largely reliant on consistency.Personal preference is not the only factor because if you are attending group exercise sessions at a fitness facility,your options are limited to the times your preferred classes are offered.If you starting walk finding the right time will have to be a group decision. THE MORNING : A number of people find that starting their days with exercise allows them to be more consistent,however the events of the day have not yet conspired to detail them.They also tout the energy boost they feel as they start their days and often report that early exercise sets the tone for them to make healthier choices all day long.Major disadvantage of morning exercise is obvious,you have to get out of bed earlier if the rest of your daily routine is going to stay the same.Most beginners get caught up in the excitement and high levels of motivation they feel and will enthusiastically declare that they going to wake up at 6 am every morning and hit the gym before work five days a week.It is a great plan if it matches your personality and routine,take a step back and be honest with yourself about how long that's sustainable.If can not you may try just waking up early one or two days a week to see how it goes. AT THE AFTERNOON : Lunchtime or mid-afternoon workout can be a great break from the workday.It can provide a much needed energy boost and mental health break leaving you more productive toward the end of the workday.The disadvantage of afternoon exercise is that it is limited time.If you work all day sneaking away from the office midday to work out can be a little challenging even if you free up the time is to put it in your calendar and obey it like you have a meeting,you may have to cut exercise short in order to allow time for showering and changing your clothes before returning to work,also meal planning can be a little tricky if your afternoon exercise is around lunchtime.It may take some trial and error to determine if working out before or after lunch is best for you. IN THE EVENING : Evening exercise can be an effective stress reliever after a day long work,if you energy to workout and do not allow fatigue to keep you from following through on your fitness goals.The most disadvantage of evening exercise is the potential for disrupted sleep.The energy boost that physical activity provides may be counterproductive if you workout too close to bed time.Moreover willpower wanes over the course of the day for most people which is why it can be more difficult to hit the gym in the evening,even when you wake in the morning with the best of intentions.Paying for a class or committing to a friend can make it easier to follow through. PROTEIN IS THE MOST IMPORTANT INGREDIENT FOR THE BODY IN ORDER TO STAY HEALTHY AND LEAN AS WELL AS TO WEIGHT LOSS.FROM GREEN PEES TO EGGS,THESE ARE SOME COMMONLY AVAILABLE SOURCES OF PROTEIN THAT COULD HELP YOU LOSE WEIGHT. 1. BROCCOLLI : Broccolli serves as a great source of protein ,which has vitamin B1,Omega-3 fatty acids and magnesium. 2. GREEN PEAS : These are agreat source of manganese,vitamin B1,vitamin K and dietary fiber.One cup of peas has almost 10g of plant -based protein. 3. LENTILS : These are an excellent source of dietary fiber and have low calories.Lentils are not only rich in minerals like iron and magnesium,but are also packed with proteins.One cup of lentils contains 18g of protein. 4. ALMONDS : Evenings are the time when you tend to eat junk,if you too are prone to it then try replacing it with almonds.Each almond adds 1.3g of protein to your diet and keeps you fill while helping you lose weight. 5. CHICKPEAS :Chickpeas are a great source of protein,because of their high fiber content.They also help in fat loss. 6. COCONUT : Coconut is a great source of protein which contains threonine,amino-acid.It protects the liver to stay healthy and lean. 7. EGGS : Eggs have several benefits.One single egg has about 6g of protein and is rich in vitamin B12,iodine,selenium and vitamin B2.Egg helps a lot in managing weight. 8. MILK : You may like or dislike to drink milk but nobody can deny it that it is a great source of animal protein.If you drink a glass of milk,it provide you approximately 8g of protein to your diet. 9. COTTAGE CHEESE : These are a great source of protein.You may have cottage cheese or paneer as alternative and make things even better they are healthy too.Around 100g of paneer contains 11g of protein which help you to fill your diet. 10. PEANUT BUTTER : It has high calorie content but it has its advantages as well.It keeps you full for a longer period of time and helps you stay away from eating junk.It is also rich in protein. COCONUT provides many health benefits as well as in WEIGHT LOSS.It is just like a fruit which can effectively help in improving your exercise performance.Apart from being a wholesome meal it can help in burning fat give a boost to your immunity and regulate blood pressure.It can be consumed ripe,dry,tender and with water. 1. COCONUT IS LOW ON CARBS : Dietitians and nutritionists suggested eating low carb foods for quick weight loss.Coconut is a fruit which is low in carbs and can be effectively help in weight loss.It is an essential part of the very popular ketogenic diet.In keto diet you can have coffee with coconut oil as it can help in effective weight loss.Coconut has anti-inflammatory properties and is rich in omega 3 fatty acids.It is a healthier version of your regular refined oil.Cooking your food in its oil gives a lot of nutrients to your body.It prevents acidity in the stomach,also has anti-bacterial properties.Skin issues can be solved by regular use of coconut oil.Coconut oil helps in weight loss because it is absorbed by the body in a very healthy manner. 2. COCONUT HELPS IN REDUCING CRAVINGS : Coconut eating can satiate your hunger and make you feel full for longer.Sugar content in coconut gives instant energy to the body.It prevents repeated hunger and reduces cravings and keeping blood sugar levels under control.You may add fresh coconut to smoothies or coconut flakes in salads and cooked dishes.The good way to include coconut in your diet by cooking food in edible coconut oil. 3. COCONUT BOOST METABOLISM : Oil of coconut contains most of medium chain fatty acids,which are metabolized faster that longer chain fats.Medium chain fats are stored with lesser efficiency in the body as compared to other fats.They enter the liver directly from the digestive tract,where they are used as energy or turned in to ketone bodies. 4. COCONUT OIL HELP IN LOSING ABDOMINAL FAT : Coconut oil help in losing fat in the long term,because of its properties that reduce appetite and boost metabolism.Studies shows that coconut oil help in significant reduction in belly fat.Medium chain fats have also been known to help in weight loss and reduce waist circumference. Coconut helps in reducing the very difficult to reduce abdominal or belly fat.This fat which lodges around body organs is known to cause HEART PROBLEMS,DIABETES AND INFLAMMATION. A reduced belly fat results in better metabolic health and reduced the risk of chronic diseases.Eating coconut along with other weight loss strategies such as reducing intake of carbs and increasing intake of protein can significantly trigger the weight loss process.